Spell — nasty magical effect that influences the will and desire of the person. If you feel that you have something wrong, feel an inexplicable attraction to some person, you need to check whether you spell. There are several ways to do this, the easiest is to use a regular raw egg, it must be as fresh. In addition to eggs, you will need clean water, if possible, use sanctified. Before performing diagnostics hold the egg in his hands, tuning it, it takes an average of 2-3 minutes. Then take a clean container, fill it with water, and there break the egg. Then you need to assess his condition. A yolk suggests that your energy is more or less in order, presence of harnesses, cereals and white thread around it often suggests that the love spell on you. To confirm this suspicion, leave the jar with the egg in a dark place for a day, if the number of harnesses and cereals will increase, this clearly indicates a magical effect. We can make a diagnosis by using Church candles and silver jewelry. 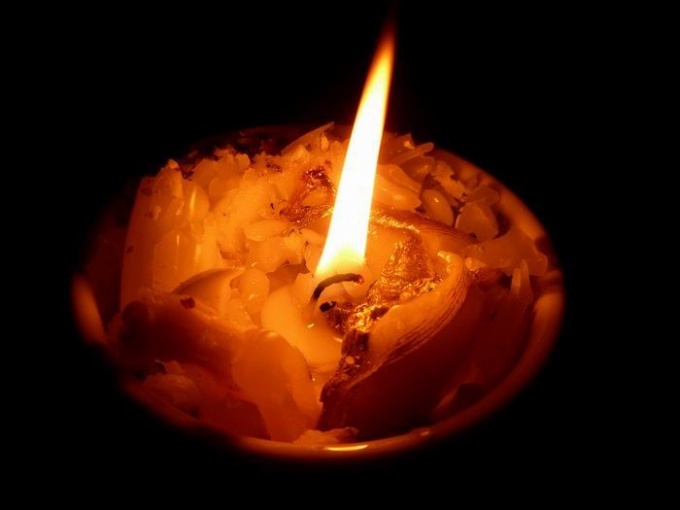 Light a blessed candle, take it in your right hand and hold it at heart level in the center of the body. In the left hand take a silver ornament, then close your eyes and sit in this position for about 10 minutes. Candle in the presence of magical effects of any kind will behave restless — smoke, shoot, cover black oplygamy, if it burns smoothly and quietly, you spell no. Before starting this procedure, close all Windows and doors to eliminate the effects of drafts. For the third method you will need a large capacity, a bucket, a few gallons of spring water and candles (you can use any, use of a Church is optional). Pour into a large container, preferably not plastic, spring water and add a little salt, then chop the candles into quite small pieces so they are easy to melt. During cutting of candles, focus on your inner condition, try to identify outside influence. Then fold the wax into the ladle and melt it, you can do this over a candle or stove, just try not to burn yourself. After the wax has completely melted, place the ladle over the container of water and smooth movement, pour its contents into the water. After that, wait a while, and concentrate on the sensations. While the wax solidifies, examine the surface of the water. If it is clean and there is a large number of small wax platelets, most likely, at you there were no magical effects. Then take the resulting casting and carefully inspect it. If it is flat and smooth from both sides, the love spell on you. If you see large growths and roughness, most likely, someone has bewitched you.